TDK Corporation announces the InvenSense ICP-10100, an ultra-low noise and ultra-low power MEMS capacitive barometric pressure sensor. The ICP-10100 achieves the industry’s lowest pressure noise* of 0.4 Pa RMS, attains the industry’s lowest power consumption of 1.3 µA, and ensures excellent temperature stability with a temperature coefficient of ±0.5 Pa/°C. The capacitive pressure sensor can measure extremely small pressure differences of ±1 Pa, enabling the ICP-10100 to detect altitude changes of less than 5 cm. With a temperature coefficient of ±0.5 Pa/°C, the MEMS capacitive temperature stable pressure sensor can operate over wide temperature ranges and a variety of applications. The combination of high accuracy, low power, temperature stability, and waterproofing in a small package footprint enables improved activity identification, mobile indoor/outdoor navigation, altitude-hold in drones, and extends battery life of always-on motion sensing applications. InvenSense ICP-10100 is currently available in wide distribution. In addition to the ICP-10100 in a 2 x 2 x 0.72 mm 1.5 m waterproof package, InvenSense is sampling to strategic customers the ICP-101xx pressure sensor family in a 2 x 2.5 x 0.92 mm industry-standard package footprint, and the entire ICP-101xx pressure sensor family will be available in wide distribution in February 2018. Low temperature coefficient: With an industry-leading temperature coefficient of ±0.5 Pa/°C, the pressure sensor is very stable over a wide range of wide-temperature applications and reduces sensor placement concerns due to heating from nearby components. For information about Pricing and availability info via email: sales.europe@macnica.com. TDK Corporation is a leading electronics company based in Tokyo, Japan. It was established in 1935 to commercialize ferrite, a key material in electronic and magnetic products. TDK’s portfolio includes passive components, such as ceramic, aluminum electrolytic and film capacitors, ferrites and inductors, high-frequency products, and piezo and protection components, as well as sensors and sensor systems and power supplies. These products are marketed under the product brands TDK, EPCOS, InvenSense, Micronas, Tronics and TDK-Lambda. TDK’s further main product groups include magnetic application products, energy devices, and flash memory application devices. TDK focuses on demanding markets in the areas of information and communication technology and automotive, industrial and consumer electronics. The company has a network of design and manufacturing locations and sales offices in Asia, Europe, and in North and South America. In fiscal 2017, TDK posted total sales of USD 10.5 billion and employed about 100,000 people worldwide. InvenSense, Inc., a TDK Group company, is a world leading provider of MEMS sensor platforms. InvenSense’s vision of Sensing Everything® targets the consumer electronics and industrial areas with integrated Motion and Sound solutions. InvenSense’s solutions combine MEMS (micro electrical mechanical systems) sensors, such as accelerometers, gyroscopes, compasses, and microphones with proprietary algorithms and firmware that intelligently process, synthesize, and calibrate the output of sensors, maximizing performance and accuracy. InvenSense’s motion tracking, audio and location platforms, and services can be found in Mobile, Wearables, Smart Home, Industrial, Automotive, and IoT products. 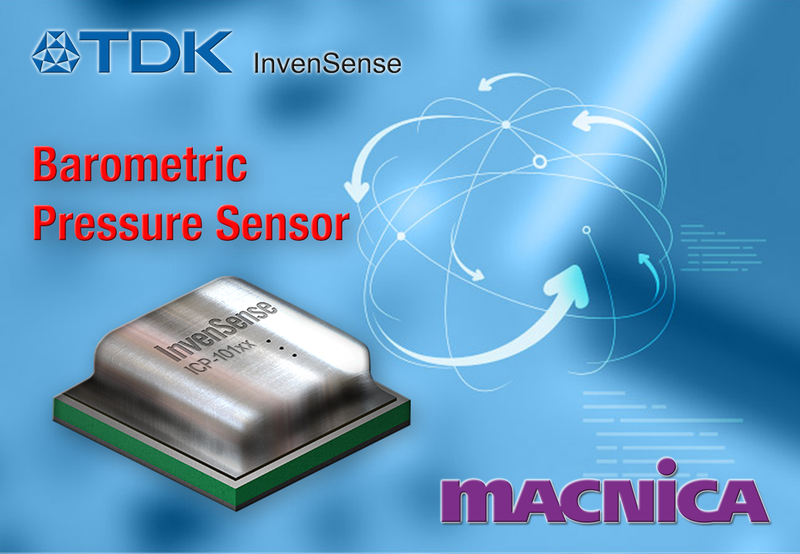 In May of 2017, InvenSense became part of the MEMS Sensors Business Group within the newly formed Sensor Systems Business Company of TDK Corporation. InvenSense is headquartered in San Jose, California and has offices worldwide. For more information, go to www.invensense.com and http://www.coursaretail.com.